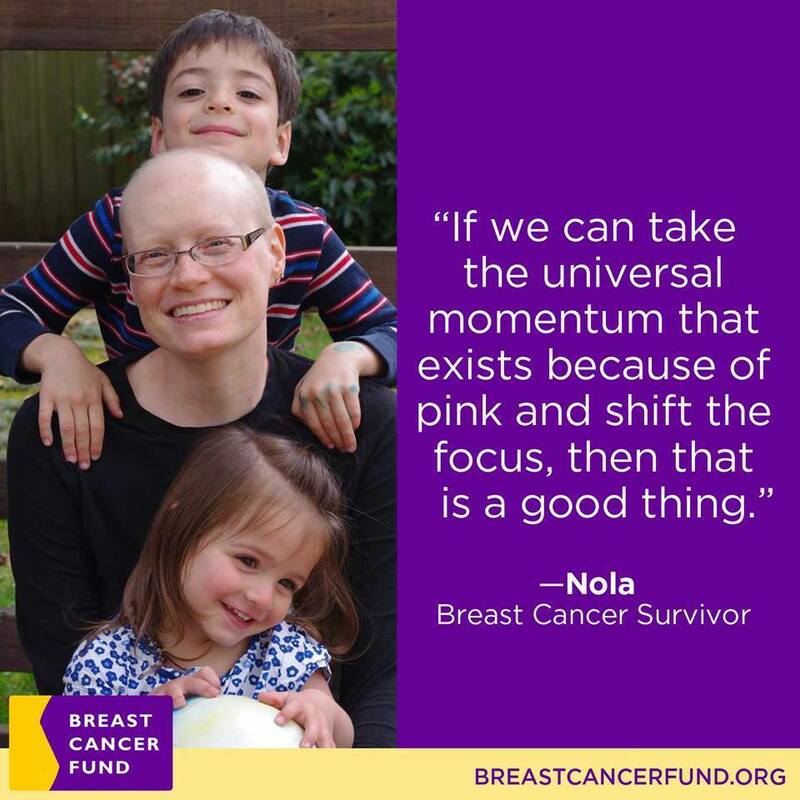 In November of 2010, at the age of 35, I was diagnosed with breast cancer. It had spread to my lymph nodes but thankfully not to the rest of my body. I endured five months of physically and mentally debilitating chemo, a mastectomy, and five weeks of daily radiation. All the while we taught my 2- and 4-year-old children words I wish they never had to know: chemo, death, cancer. In 2011, to celebrate my completion of cancer treatments I decided to do something I love very much: climb a mountain. After almost a year of being physically unable to move I rejoiced in my new ability to hike, exercise, and play with energy and vigor. 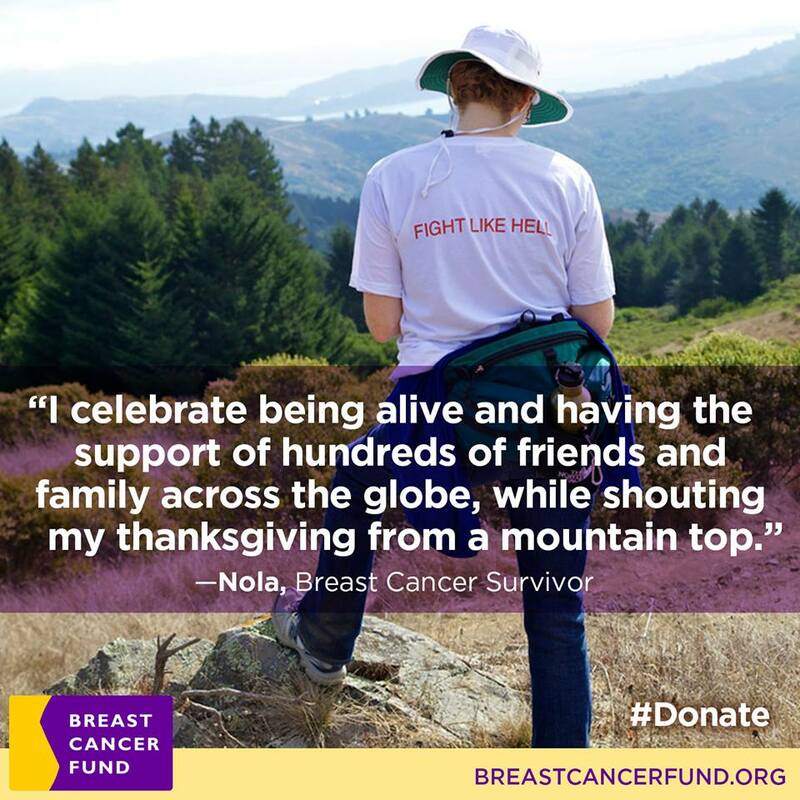 But hiking is more than just exercise — it is a symbolic gesture of the mountain I climbed in overcoming cancer. Every year as I climb, I use each step to remember the many, many people who supported me during my illness. At a time when 1 in 8 women will be diagnosed with breast cancer, the Breast Cancer Fund is devoted to removing the environmental causes of the disease. Please support the Breast Cancer Fund so my small children, and so many others, will never have to endure this terrible disease.